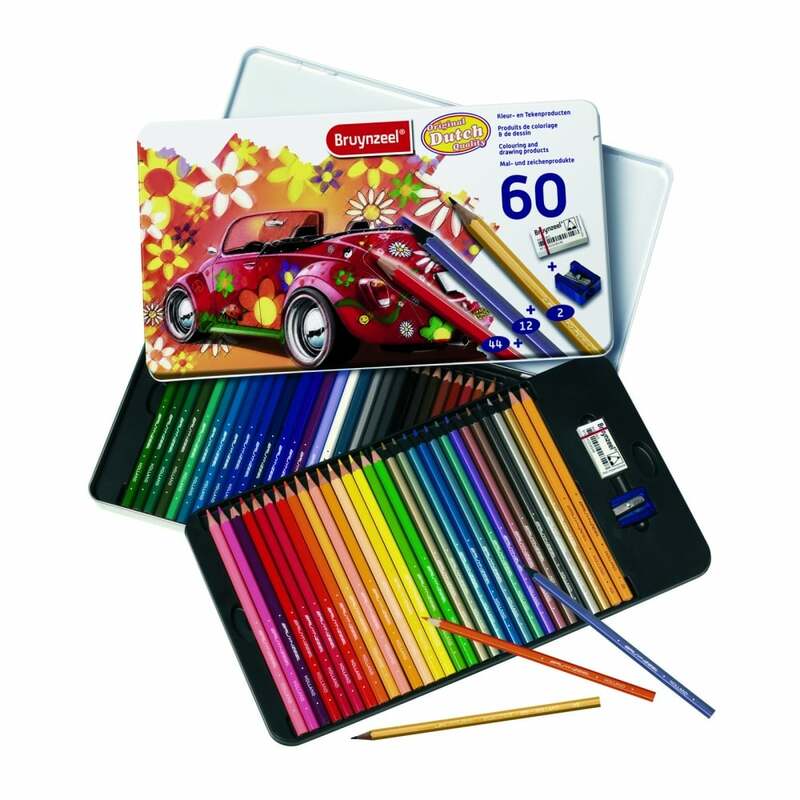 The 60 piece colouring and drawing set will be suitable for all budding artists or a great addition to art box. All pieces are stored in a stylish metal tin keeping all the pieces together. The set contains 44 coloured pencils, 2 graphite pencils, 1 eraser and 1 pencil sharpener.